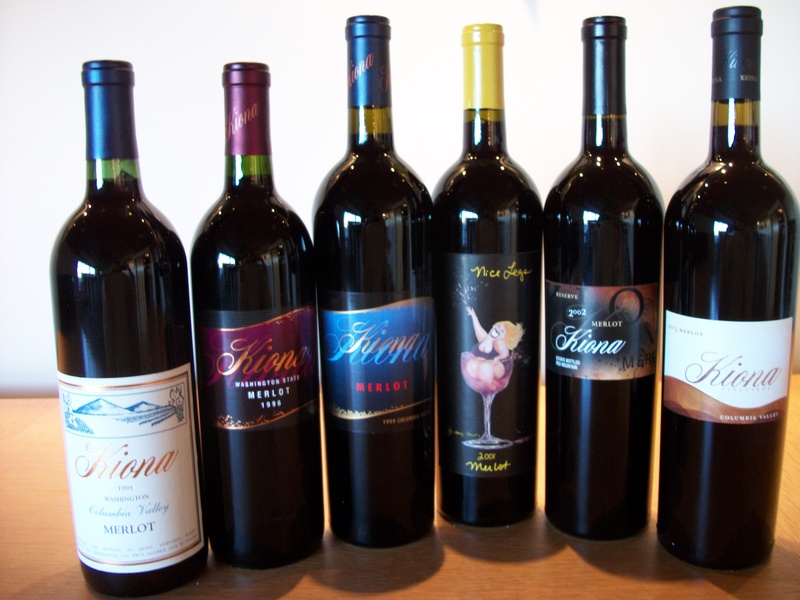 I’m not too shy to say that Kiona’s Wine Club is one of the best around. Bold statement, I know, but the pictures below should dispel any doubts you might have. Too many wine clubs are like magazine subscriptions; you simply get the same wines in the mail that you could go buy at the store. That’s not what we do. If you join our club, you’ll get library wines. You’ll get wine-club-only wines. You’ll get wines before anybody else. We aren’t messing around here – this is serious business for Washington wine fans. Every shipment is a flat $125 (not including applicable tax and/or shipping). Period. If you’d like to sign up, you can visit this page. You can get all the nitty-gritty details and sign up right from your computer. Our Holiday 2010 shipment is an Estate Cabernet vertical. 2002, 2003, 2004, and 2005 Estate Red Mountain Cabernet Sauvignon. 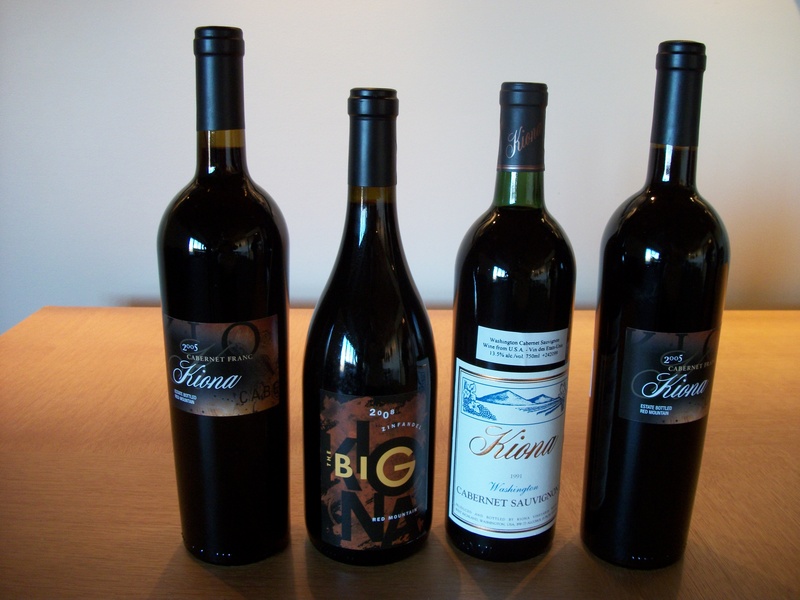 Our Fall 2010 shipment featured 2 bottles of 2005 Estate Red Mountain Cabernet Franc. We only made about 20 cases of this wine, and our wine club members got all of it. Also included was a 2008 Big Kiona Zinfandel and a 1991 Washington Cabernet. Our Spring 2010 shipment included six bottles of Merlot, including wines from the 1993, 1996, and 1999 vintages along with our three current releases (2001, 2002, 2005). Thank you so much Audra. I am going to give you the information of our distributor in Albuquerque who will be able to direct you appropriately. Tell ’em where you live and they should be able to point you to a retailer that can hook you up. Good day Audra!! This is Megan Clemans with Crianza Wines and we are a locally owned and operated distributor. 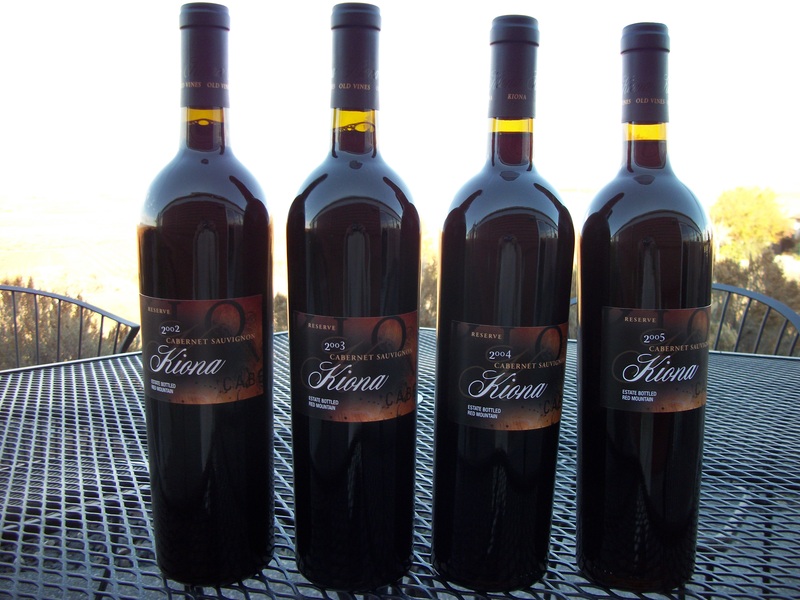 We are proud to make Kiona wines available here in Albuquerque New Mexico. You can find them at Quarters (all three) Jubilation, Whole Foods on Carlisle and Academy, Artichoke Cafe offers a by the glass Kiona Lemberger and by the bottle Kiona Zinfandel and Cabernet Sauvignon. Hope this helps!! We are distributed in Minnesota. If you would be so kind as to send me an email (info@kionawine.com) with your ZIP code and what you might be interested in drinking (i.e. Riesling, Cabernet, etc) we can get in touch with them and help you out. Many thanks. If you have any questions, just let me know.